Stay less than 5 minutes from the Eurotunnel at the Novotel Suites Calais Coquelles Tunnel sous la Manche hotel. This 4-star hotel offers spacious, modular suites measuring 323 sq. ft. (30 m²) with free fiber-optic high-speed WIFI, and TV package (Canal+, beIN, etc.). Whether traveling for business or leisure, 24-hour services make life easier for you, such as the Boutique Gourmande and fitness center. 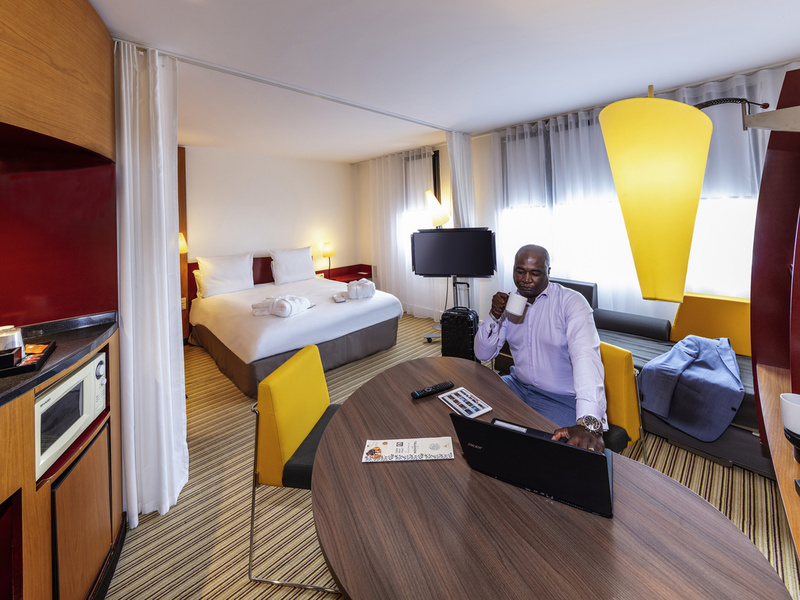 After a visit to the monuments of Calais, come and relax in the cozy universe of Novotel Suites. Relax alone or with family and friends in the cozy atmosphere of our bar. Enjoy a game of foosball and listen to your favorite songs on the jukebox!